Call Now! We'll be Right Over. It’s official – we are now YORK® dealers! We’re excited to provide our customers with a complete line of home cooling and heating products from YORK® – a brand whose reputation is built on over 140 years of quality and innovation. For those of you that are wondering, yes, we still install other air conditioning brands as well – such as Trane and Comfortmaker. But now, you have the benefit of selecting from an even wider repertoire of quality HVAC products when you choose us to replace your air conditioner. Also, we provide AC repair and maintenance services for all makes and models. YORK®, now a brand of Johnson Controls, started out in 1874 as The YORK Manufacturing Co. in York, Pennsylvania. The company specialized in ice making and refrigeration, which was the top cooling method of the day. They made their first segue into the still-new air conditioning market in 1914 upon installing an “air washing” system in an Alabama theatre. YORK® is also credited with providing the cooling system for the first ever air conditioned office building in 1924. Today, YORK equipment can be found in such prominent buildings as the U.S. Capitol, the Sydney Opera House and the English Chunnel. All of YORK®’s products are designed, engineered and assembled in the USA. They have two state-of-the-art facilities, one in Oklahoma and the other in Kansas, which collectively employ over 2600 workers. Not only does this benefit the US economy, but it also provides YORK® with the opportunity to directly oversee and refine their processes. This has a great impact on the quality of their products. According to their workers, each unit undergoes run testing to ensure that the equipment the end user receives meets quality standards and is fully operational. In addition to their dedication to quality, YORK® also offers consumers some of the best warranties in the industry. For example, their premium Affinity™ series air conditioners and heat pumps come with a Lifetime Compressor Limited Warranty, a 10-year Parts Limited Warranty, and a 1-year Labor Limited Warranty. View a list of YORK®’s products and warranties. YORK®’s products have also received numerous awards and recognitions. 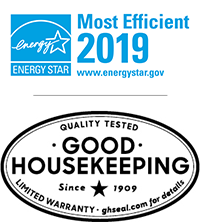 Many of YORK®’s air conditioners and heat pumps are ENERGY STAR qualifying, and some have even earned the designation of ENERGY STAR Most Efficient 2019. Additionally, all of their residential products bear the prestigious Good Housekeeping Seal of Approval, which is not only a mark of excellence, but carries its own limited warranty. Ask Us About a YORK® System for Your Home. With YORK® products, you can feel confident that you are receiving a good value for your money – a blend of quality, performance, energy efficiency, and price. We sell, install, maintain and repair YORK® air conditioners, heat pumps and air handlers. 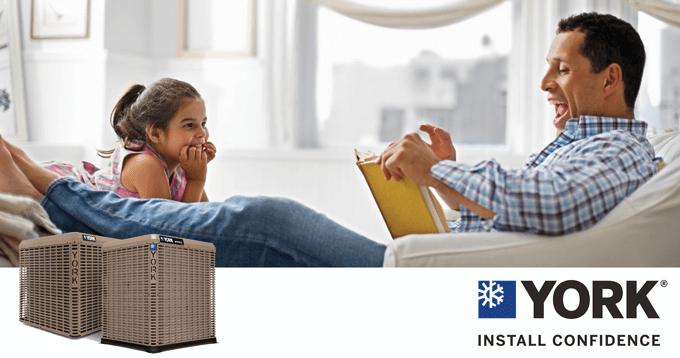 Get a Free Quote on a YORK® Air Conditioner or Heat Pump Today. Kobie Complete has two locations in Englewood and Punta Gorda. Do you live in our Sarasota and Charlotte County service area? Fill out the form below or call us at (941) 474-3691 to get a free, no-obligation quote on a new air conditioner installation. 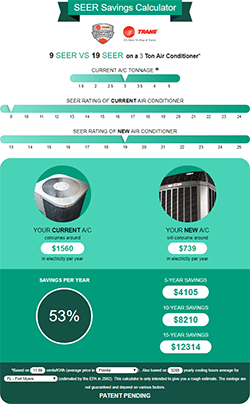 See instantly how much money your new air conditioner can save you! Call Us Today! We'll Be Right Over. © Copyright Kobie Complete, 2019. All Rights Reserved. I am in Sarasota or Charlotte County, FL.